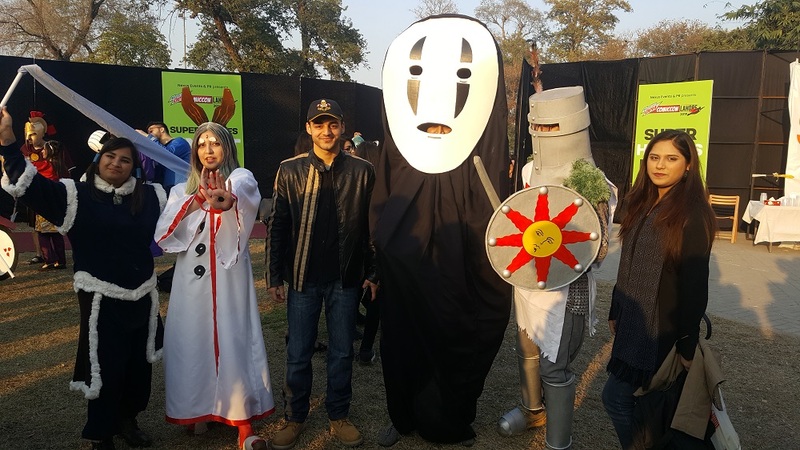 ComicCon Lahore 2019 Recap - Cosplayers, Panels, Food, and More! ComicCon Lahore 2019 Recap: Cosplayers, Panels, Food & More! ComicCon Lahore 2019 was held on February 3, 2019. It was my first time at the event and I’m looking forward to going again! It featured some interesting panels, a respectable crowd, tasty food stalls, and some very impressive cosplayers. ComicCon Lahore 2019 was a larger event than Pak Cosplay Con (which I was able to attend last year). It had two sections. The panels and the vendors (selling geeky stuff) were in a giant tent while the outdoors had food stalls and an area where people could target practice using a bow and arrow. The food stalls were by some well-known brands offering burgers, B.B.Q, cotton candy, sweets, and other tasty items for those interested. Walking the Con floor, inside the tent, I saw booths selling geeky collectibles (actions figures, buttons, pins, etc. ), T-shirts, cushions, and more. Considering most of the stuff was imported, the price tags made sense. Even Digital Realm (which I highly recommend for geeky collectors) was there. Many attendees were spending time playing video games including Tekken 7 and Fifa 19. There was also a spot for VR games. A few arcade games were also present. The panels helped shine the spotlight on CFX and The Last Follower. CFX has been doing a lot of work to help promote comic book creators in Pakistan. The Last Follower is a fan-made Harry Potter film. The main event was the Cosplay Walk and it was amazing! Many passionate cosplayers (adults and kids) took the stage to display their hard work. I attended the event with my younger brother and some of our family friends. Even though I didn’t take part in the cosplay competition, I still had a lot of fun. The five to six hours I spent at ComicCon Lahore 2019 flew by and I’m looking forward to going again!